Smart homes are the way of the future, whether we really want them to be or not. The companies who make all our appliances are heading that way and lets be honest, the current fridges and stove tops we live with aren’t going to last forever. 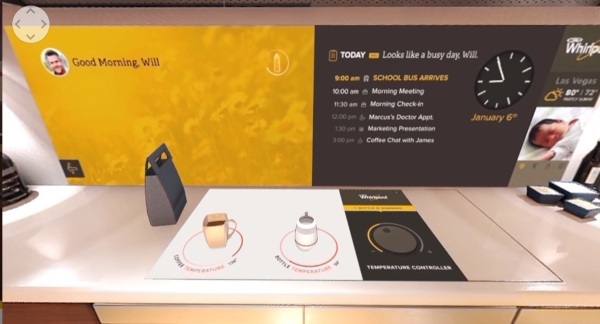 Whirlpool wants to show off the smart kitchen of our future. In the future, you won’t have to struggle to figure out what’s for dinner. Your kitchen will literally do that for you. By placing ingredients on the cooktop, your new fancy backsplash will recommend recipes for you. No more internet research for you. The cooktop will also heat things up for you automatically. There are tons of timers and alarms to keep your morning on schedule while offering suggestions based on what you have in the kitchen. This kitchen will even wash your dishes. Clearly, the goal is to be a hub for your entire house to keep your family on a schedule centered around meal times. This is still a concept but you can interact with the video below to see how it may work in the future.